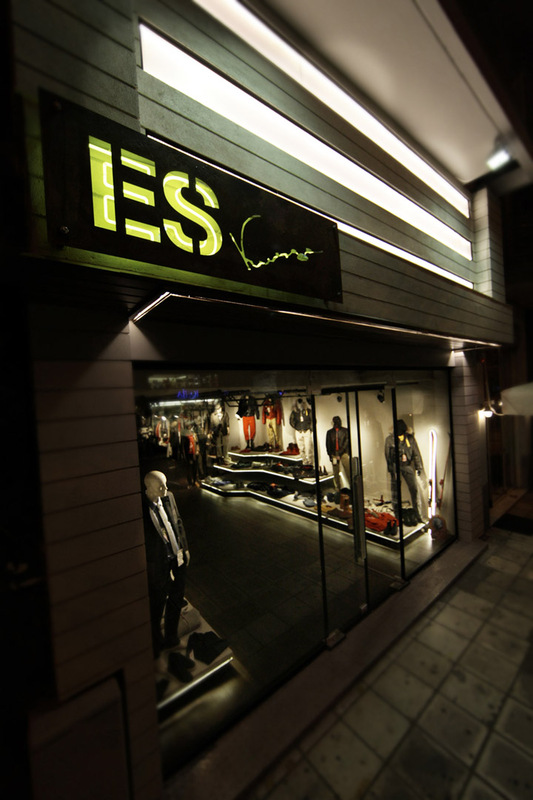 The design for ES expands on elements implemented in the store’s predecessor. 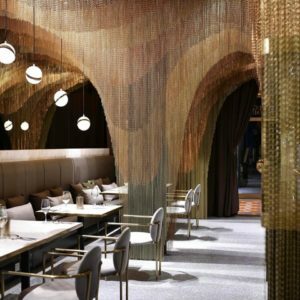 The juxtaposition of natural elements versus manmade materials, references the concept of an abandoned factory that is consumed by nature. 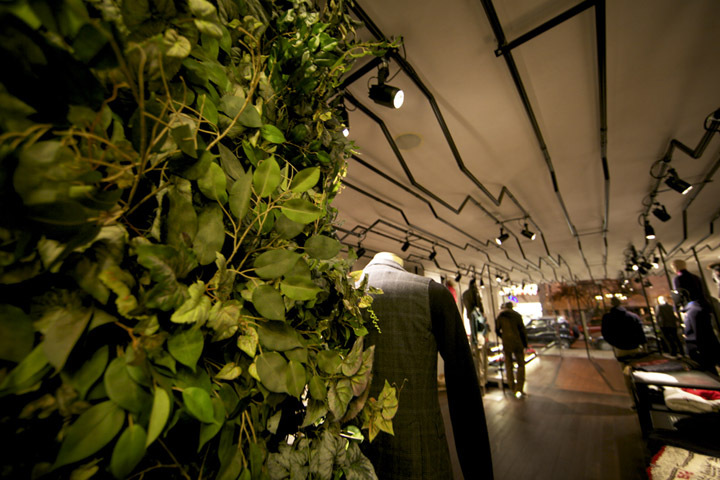 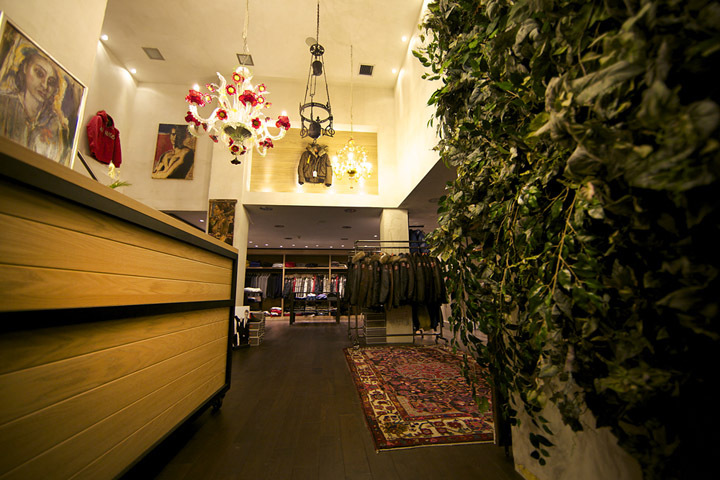 An ivy wall pays homage to the original store and demonstrates the harmonious impact of nature taking over a manmade environment. 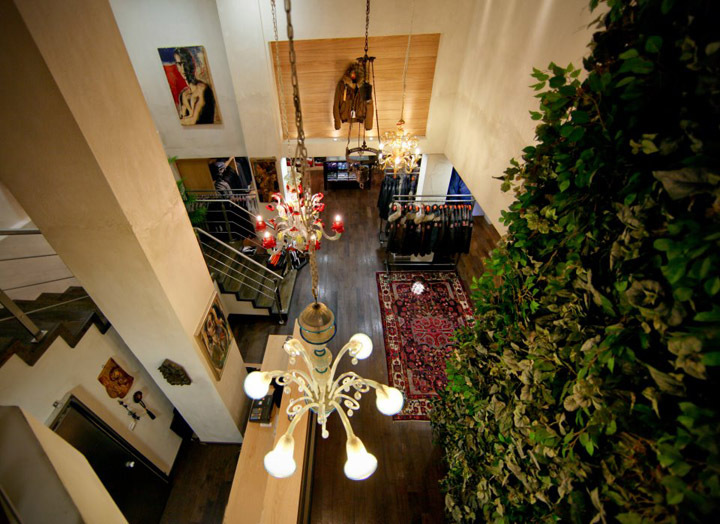 Custom murano glass chandeliers also play upon the contrast of man versus nature. 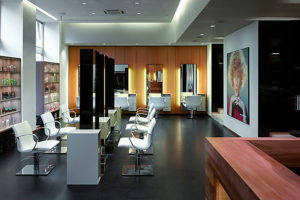 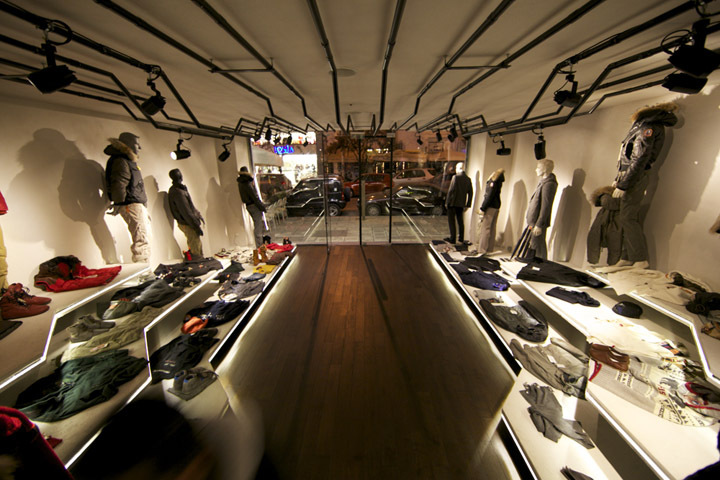 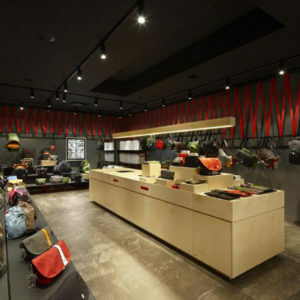 The use of concrete window displays featuring straight edges and strip lighting, encourage consumers to enter the store. 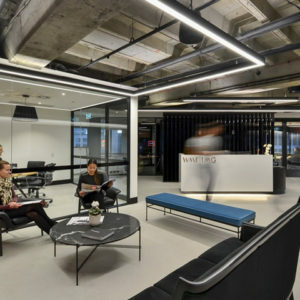 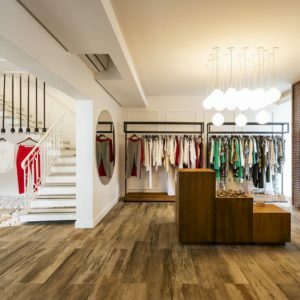 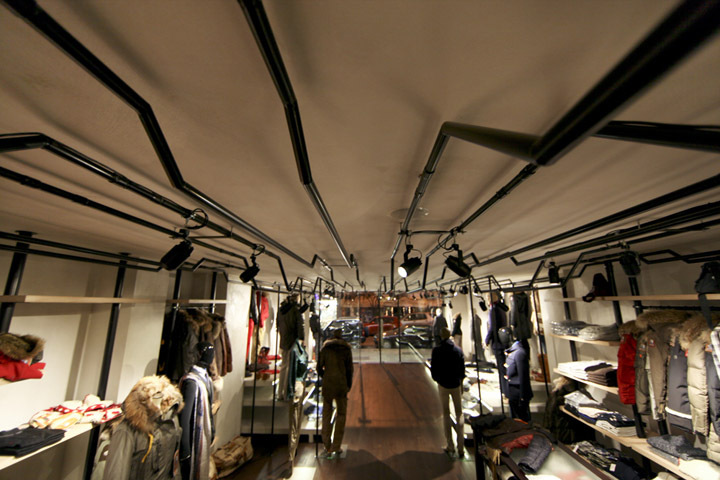 The same effect is achieved with a piping system that runs throughout the space, both dictating the path of movement and guiding one through merchandise. 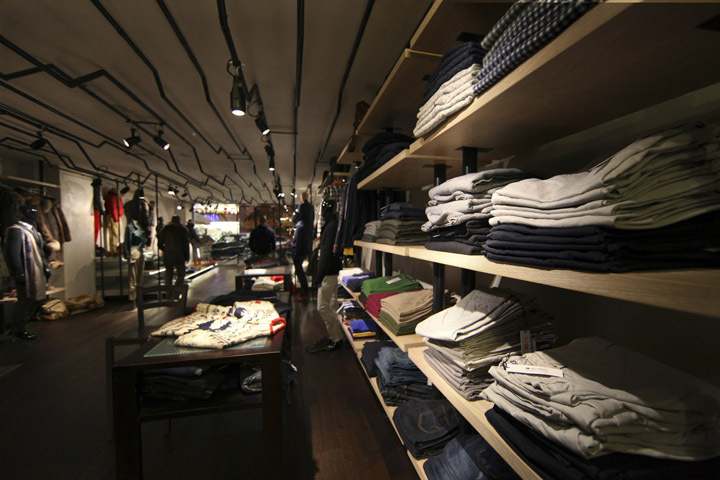 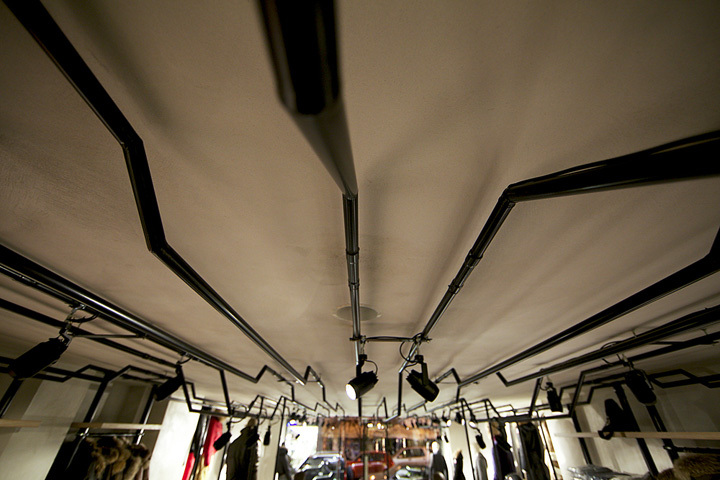 This piping system acts as the “spine” of the store housing lighting and forming a number of displays. 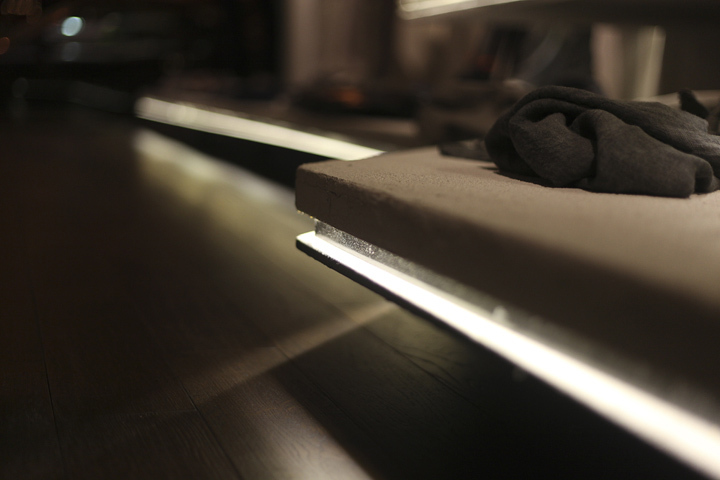 Through the convergence of the fore-mentioned design principles, a blend of natural and manmade elements is conceived. 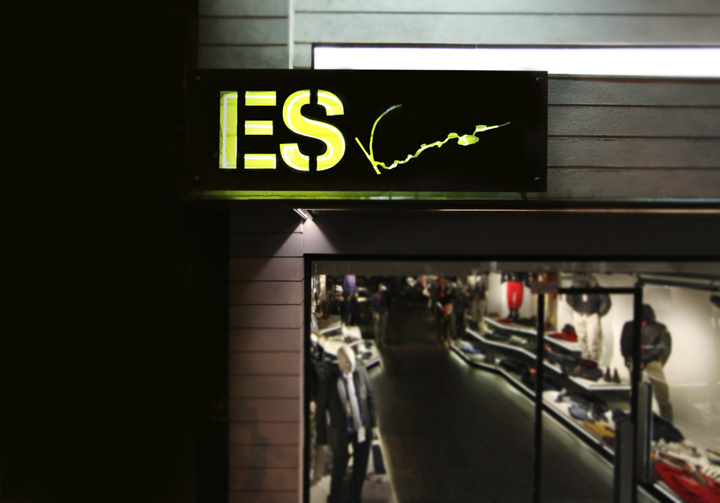 ES by Vrousgos from Yiannos Vrousgos on Vimeo.